For more information or to schedule an appointment with our Holland chiropractor, call 616-392-7031 today! Dr. Ann McAlpine is a chiropractor serving Holland and the surrounding communities.  Our chiropractor and the rest of the friendly team at McAlpine Chiropractic Group PC are dedicated to chiropractic solutions to target your unique needs, whether you are suffering from back pain, neck pain, headaches, or even just plain old muscular tightness and tension. You may need pain relief after suffering an accident, experiencing an injury, or if you have a specific condition such as chronic back pain or a spinal condition; even if you just want to improve your overall health, our chiropractor can help you achieve your wellness goals! Please visit the testimonials page to see what our patients are saying about our Holland chiropractor and getting regular chiropractic treatments. 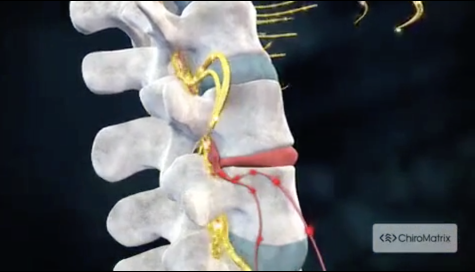 At your first visit to McAlpine Chiropractic Group PC, Dr. Ann McAlpine will explain the science behind how chiropractic care works, and give you a full evaluation to see if chiropractic care is right for you. If there is a good fit, we can develop a plan of chiropractic care that is specific to your condition and health goals. If you are new to seeing a chiropractor and want to find out more, please email us or call 616-392-7031 to receive personalized answers to your questions from our friendly team. We also welcome referrals, so feel free to use the "Send to a Friend" link located at the bottom of every page to share our health information with your friends and loved ones. Dr. Ann McAlpine was born and raised in Holland, where she feels blessed to have been able to return home to practice chiropractic and help restore patient’s bodies, minds and health. She is excited to share all that she has learned and experienced throughout her journey that led her to the prestigious Palmer College of Chiropractic. Dr. Phillip Maletta is a licensed chiropractor practicing at McAlpine Chiropractic Group in Holland, Michigan. Dr. Phil is a 2014 graduate of Palmer College of Chiropractic in Davenport, Iowa and he also holds degrees in Occupational Health Science and Environmental Health Science from Purdue University in West Lafayette, Indiana. Dr. Bosscher grew up in Grand Rapids but spent many years along the lakeshore. He received his Biomedical Science degree from Grand Valley State University, and then headed south to St. Petersburg, Florida to pursue his Doctorate of Chiropractic from National University of Health Sciences in 2009. He was drawn to Chiropractic by his passion for sports and natural approach to healing. "Before coming here I felt tired all of the time and I couldn't function at all. I felt like I had this cloud over me and I couldn't see or think clearly. Once Dr. Ann McAlpine started working and aligning my spine.. I started feeling more energetic, my headaches were gone and I could sleep better at night. They make you feel right at home. My husband, two grandchildren and my mother saw the difference in me right away and decided to go see Dr. Ann at McAlpine Chiropractic Group. The atmosphere at my house has changed for the better!" "Amazing! Dr Ann McAlpine helped me so much. She has always worked at getting my body healing and functioning at 100%." "Very professional, Very willing to help. In town in miserable pain. They were able to get me right in so I could enjoy the rest of my stay in the Holland / Grand Haven area. Thank you"